Route Active Hotel is made up of four buildings which are from the 70's, but the hotel has gained new owners and opened in 2016 the doors to a modern renovated look. The decor in the common areas has a bright, light and modern look, and perhaps that's the reason why Route Active Hotel is popular with all tourists. Look out for pleasing décor, especially the lamp installation in the ceiling at the entrance made of retro bicycle wheels – which fits well with the active concept. You will also find shopping opportunities within a short drive of the hotel. The rooms at the route active hotel feature all the amenities required of a big hotel. They also provide beautiful views of the mountain, garden or pool. There’s a lovely pool, where guests can take a relaxing swim. Free WiFi is available in common areas. 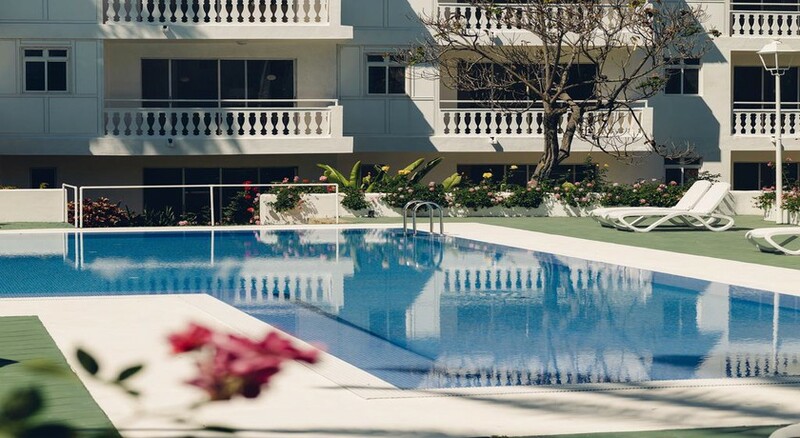 The Route Active Hotel is about 30km from the Tenerife North Airport, which takes about 25 minutes to reach. The Teide National park is about 32km from the property. Try visiting Meson El Monasterio, which is 5km from Route Active Hotel. Guests can choose between double rooms and premium rooms. All rooms come with a balcony and offer excellent views of the mountain, pool or gardens. 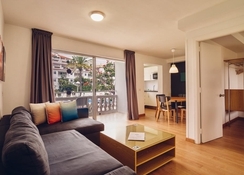 Amenities like a flat-screen TV and a private bathroom along with hairdryer, microwave, free toiletries, a fully equipped kitchen and more are what makes for the most pleasant stay in Tenerife. Route Active Hotel has a breakfast room, but not a restaurant for lunch or dinner. Next to the reception, the hotel has a small "minimarket" with drinks, snacks and sandwiches for the little bursts of hunger. 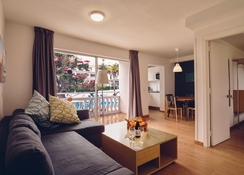 Within walking distance, you have several restaurants to choose from, both in the city of El Toscal and Los Realejos, and you have Puerto de La Cruz with several restaurants within short driving distance of the hotel. Café El Mirador is known for its breakfast and pastries, while the Hacienda San Pedro come highly recommended. Route Active Hotel features an outdoor pool and solarium. You can also get a host of massage and spa services at the state of the art spa. For hiking enthusiasts, there is a Camino El Burgado route from Rambla de Castro to Las Aguas and Route 040, which is the most direct route from the sea to the top of the Teide volcano. Playa del Socorro is about. 4km from the hotel, which provides great options for surfing. There are various scuba diving centres around the hotel. You will also find shopping opportunities within a short drive of the hotel.